Visit favourites like Paddington Bear, Peter Pan, the Mallard family, Alice in Wonderland and Dr Seuss, all large as life and cast in bronze. There are many favourite children's stories, enjoyed from one generation to the next. Several of these stories have been immortalised in bronze making the ideal location to visit on a holiday with the children. 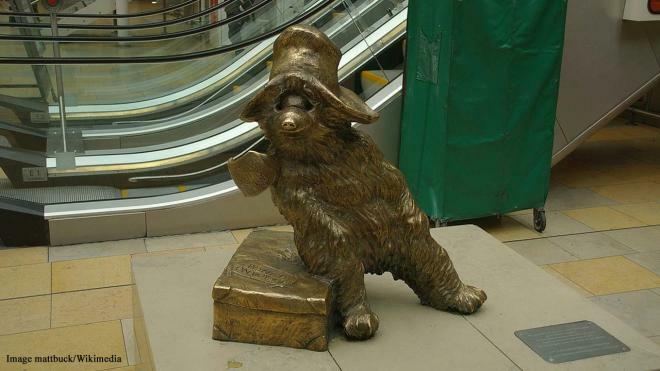 Here are five bronze statues relating to your kids' story favourites, including the iconic Paddington Bear, still waiting at Paddington Station for someone to take him home. Alice in Wonderland can be seen in New York, surrounded by her friends. Heading to Kensington Park in London, we spot Peter Pan and all his friends, then back to the USA to see Mr and Mrs Mallard and the ducklings. Staying in the USA, we visit Dr Seuss and all his amazing characters. Paddington Bear is a favourite with children, parents and grandparents alike. The story tells of a forlorn bear, found at Paddington Station in October 1958. A note attached to the bear asked some kind person to care for him and the Brown family took him in. He can now been seen, cast perfectly from bronze at Paddington Station, complete with a note on his coat, saying please look after this bear. 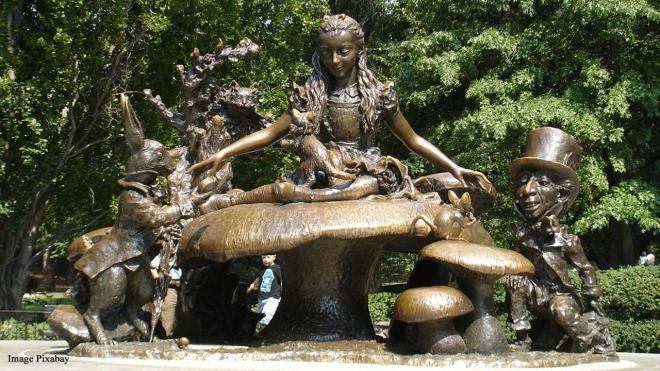 Right in the heart of New York City is a group of bronze statues dedicated to Lewis Carroll’s book “Alice in Wonderland.” They were designed by sculptor Jose de Creeft and placed at the Modern Art Foundry in Queens. In the grouping, Alice can be seen, surrounded by the White Rabbit, the Cheshire Cat, the Dormouse and the Mad Hatter.